Farnaz Khan is a Bradford-born mom, award-winning serial entrepreneur who is passionate about innovation and unleashing the potential of the next generation. Her journey started in her bathroom and is now making headlines worldwide. Farnaz’s brand Fit Britches® is a registered trademark of 8 London, a technical textiles company specializing in high technology smart textiles. It has received considerable industry recognition for its current award winning underwear products and has been seen widely in the press, featured on British Television and on celebrities including Khloe Kardashian, Jessie J and many more. 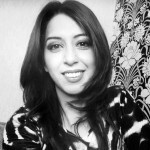 You can find Farnaz on Twitter as @farnazkhan and on LinkedIn FarnazKhan.